As one of an elite group known as the PayPal Mafia Max Levchin is a well recognized tech futurist in the Silicon Valley. If he declares sensor data to be ‘poop’ – there must be some profound truth to the statement. Who am I to argue with the wisdom of someone that comes from the same small circle as the founders of Tesla, YouTube, LinkedIn, Yelp, 500 Startups, etc. While the focus of his latest company has nothing to do with the real-time sensor data streaming from smart buildings, the “from excreta to ecstasy” observation about working on very large data sets holds true. Albert M. Putnam, VP Technology Operations, Cimetrics, says “There is a vast amount of data available in a large building—if you were to read one sensor every 15 minutes, you would have 35,000,000 data samples after one year! Some buildings have thousands of sensors and actuators.” So there is sufficient volume of data to enthrall any data scientist, especially sensor data in combination with all the traditional building data that arrives via protocols like BACnet, 802.11 Wi-Fi and all the neighboring bands of wireless radio transmissions, M2M cellular networks, etc. Before any person, or algorithm (aka intelligent agent) can start to analyze the data, it has to be cleaned up and normalized. In a recent blog post entitled Data Janitor Work: What No One Tells You About, one founder of RiptideIO comments, “the big barrier to analyzing data is getting clean, workable data.” The job of prepping data for a building systems integration project can be a big mess, due to proprietary protocols, a mix of interconnection mechanisms, and varying use cases. 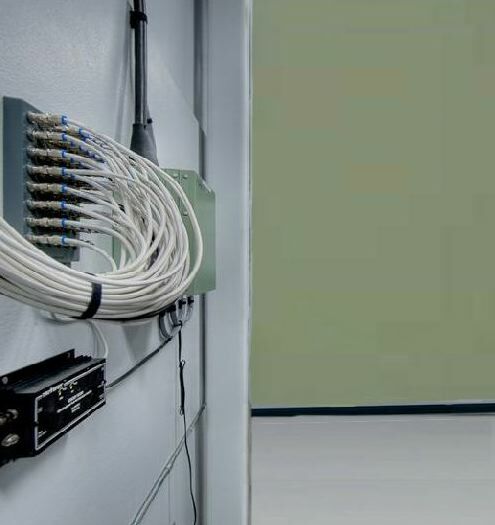 Founded by veterans of Cisco Systems Smart+ Connected Buildings Group, RiptideIO differentiates its products and services by its commitment to keeping its BAS integrations open, so that its building operator customers have flexibility and can avoid unnecessary complexity and costs. In this context, the words ‘clean’ and ‘open’ are almost synonymous. Data experts from the Building Automation industry have worked over the last decade on standardization efforts like BACnet to get away from the ‘poop’ and make it possible to operate on data at a higher level. Ken Sinclair, editor of automatedbuildings.com, puts each in perspective in this editorial. Like Putnam and RiptideIO he believes it takes a commitment to openness, a well-informed strategy and past expertise to work through the data cleansing phase in a timely way.